Price Carbon Now! Infographics | PRICE CARBON NOW! 3. 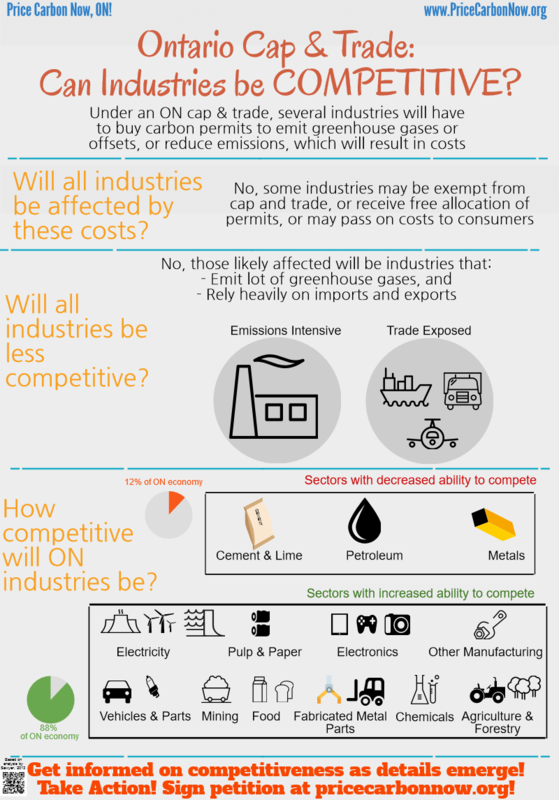 Competitiveness of Ontario industries under a carbon pricing system (for our piece on industrial competitiveness, click here).